existe uma rampa atrás do lado direito vocês podem subir por lá o ítem esta atrás dos lideres do ringue. This was the hardest to find! You need to stand in between of the 2 vendors in the Ring of Blood (the repairer and the "refreshments" vendor) and look up. thank you endnight. been looking forever. 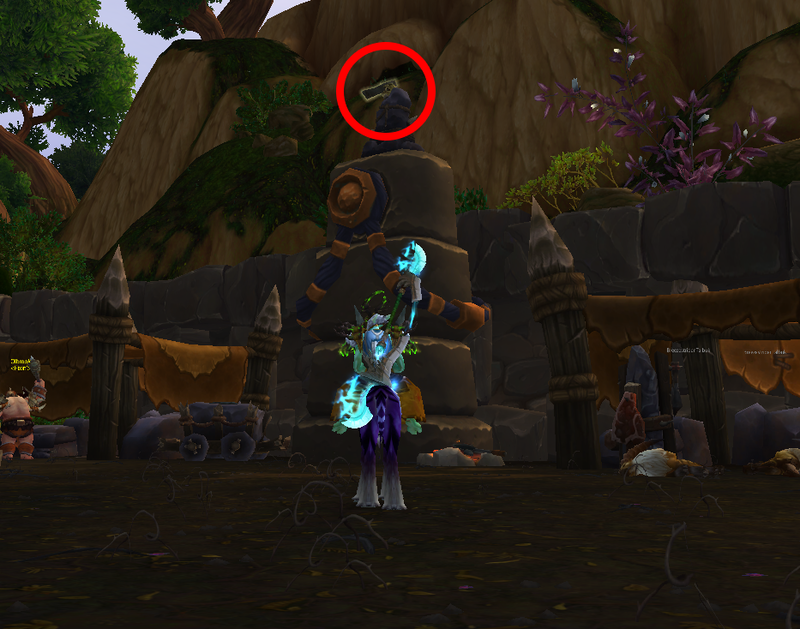 Here is an image to get a better overview of where to find the quest item! Good luck. You'd think you'd be looking for a small item in the bones like the other pieces in the area. , on TOP of monument for this specific quest; see step 4 below for details. Gutrek's Cleaver is located here. Video shows how to get to it. Note: to people like me who are bad at jumping, don't worry; the jumping here isn't bad. Once you have found the place where the item is, it's just a little hop upward. Easiest one to find if you just look up. Once you have lighted the furnace, hammered the anvil, you need to turn around and go quench the blade. Turn around again and the blade will be floating in light. Now for the surprise. 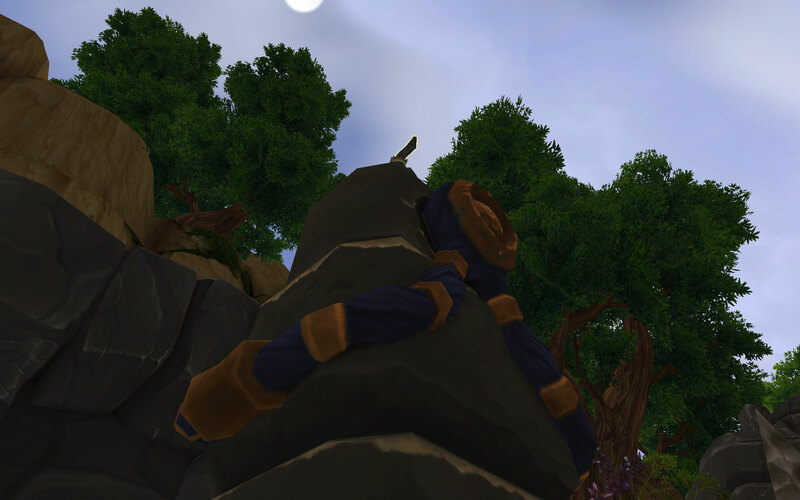 When you click on the blade you will be attacked by an ogre. Once you have defeated him you have to loot the blade. Have fun. Siga a pista do diário e encontre a lâmina do Cutelo de Gutrek. Só falta um fragmento. O diário diz: "A última parte, a lâmina de Gutrek, ficaria exposta para todo o sempre em um local digno de honra: suspensa sobre o Ringue de Sangue. Não me lembro de tê-la visto, mas diziam que o local tem uma vista boa das batalhas."